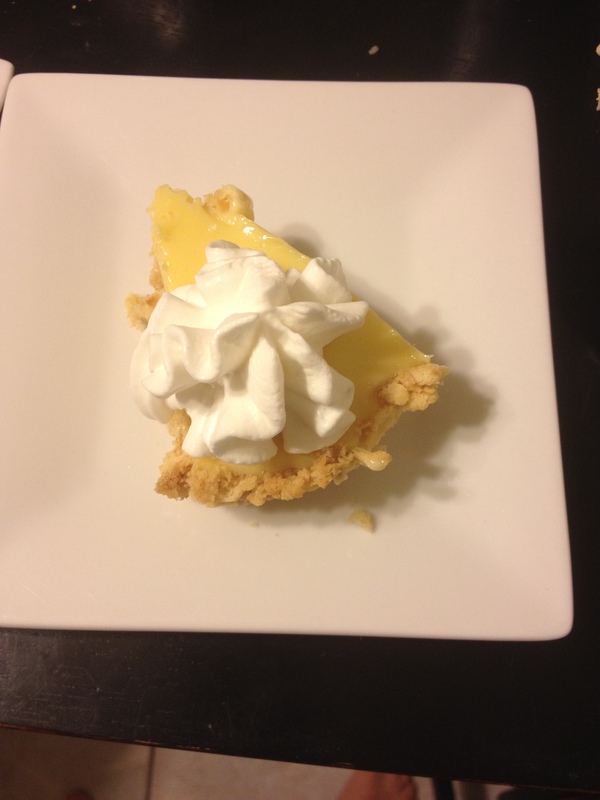 This is a pie similar to key lime that is quite popular in North Carolina and traditionally served after seafood dinners along the coast there. 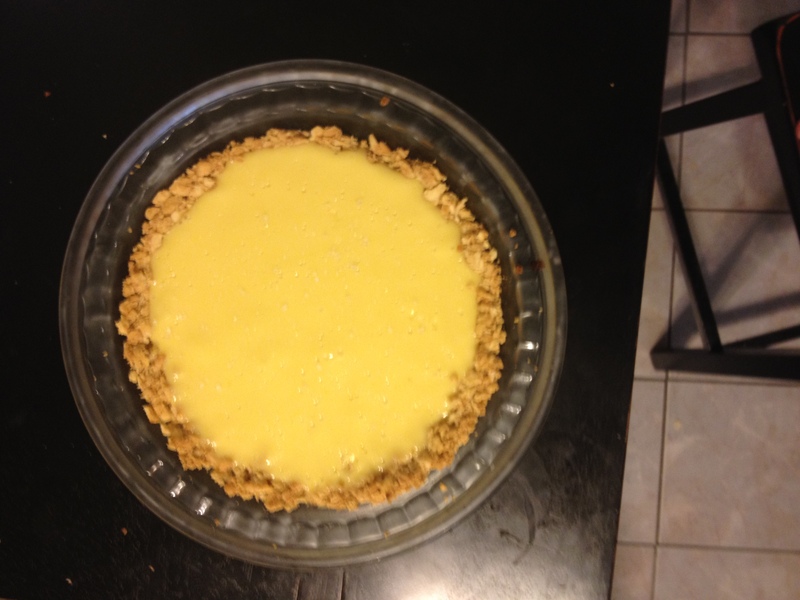 The recipe calls for lemon or lime juice but I decided to do half and half and was pretty happy with the results. Here’s the weird part: the crust of this pie is made with saltines- the salty part of the salty sweet! 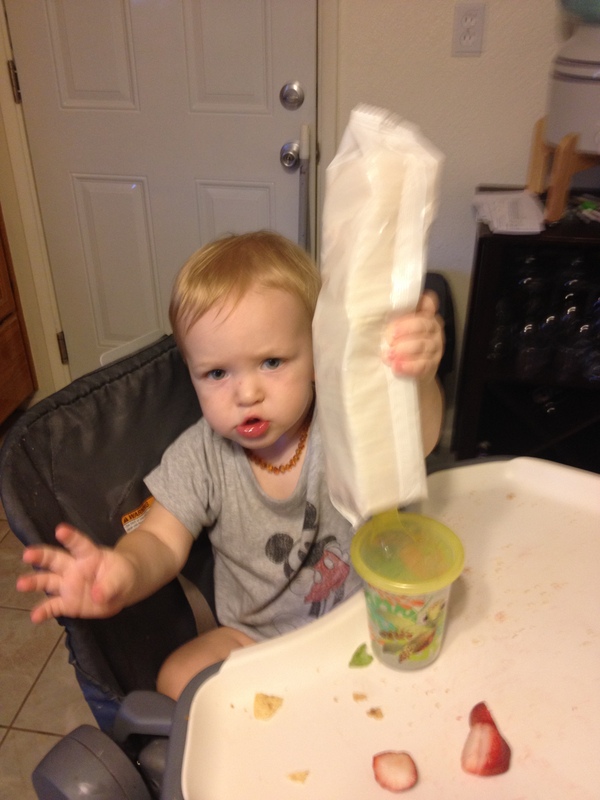 My toddler was more than happy to help me crush up crackers for the crust and to sample a few too. I was then mostly too distracted to take pictures. Just know that the pie is fine on its own, but the whipped cream definitely takes this pie to the next level. I love citrus so this was right up for my alley. I made this opening night of The Tempest intending to share a slice or two with one of my best friends but then I totally forgot to tell her to eat it so she didn’t even get it until 4 days later when I’m sure it was not as good. I guess that means there’s just another pie to bake in my future! Overall, I’d make this again. Some of the comments on the NPR site suggested trying Ritz crackers instead of saltines so I’ll try that next time! I can’t believe I’m only 8 baking projects away from my goal! This year has seriously flown by… here we go final fourth!